Even though positive associations among problematic Internet use (PIU), maladaptive personality traits, insecure attachment styles, and dissociation have been frequently observed in research, a need exists to examine the interrelationships among these factors in young adults. Two hundred fifty-three young adults (52% females) aged between 18 and 25 years old completed a sociodemographic form and measures on PIU, maladaptive personality traits, dissociative experiences, and adult attachment styles. They also reported how much time they usually spent online. A hierarchical multiple regression analysis showed that male gender, increased time spent online, negative affectivity, an avoidant attachment style, and dissociative symptoms of depersonalization/derealization were strongly associated with PIU scores in the sample. 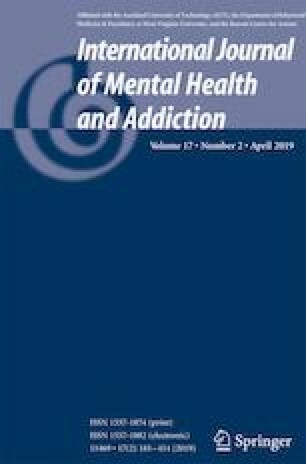 Our findings suggest that an excessive time spent online may combine with maladaptive personality features, insecure attachment dispositions, and difficulties in processing bodily experiences in generating PIU among young adults. Ethical clearance was obtained by the Internal Review Board for Psychological Research of the UKE-Kore University of Enna. The study was carried out according to the Ethical Code of the Italian Association of Psychology (AIP) and the American Psychological Association (APA). All procedures followed in this study were in accordance with the ethical standards of the responsible committee on human experimentation (institutional and national) and with the Helsinki Declaration of 1975, as revised in 2000. Informed consent was obtained from all participants for being included in the study.